Coming up on Episode 19 – Vaneet Khurana is a Global Operations & Supply Chain leader and an expert in vendor collaboration & compliance. 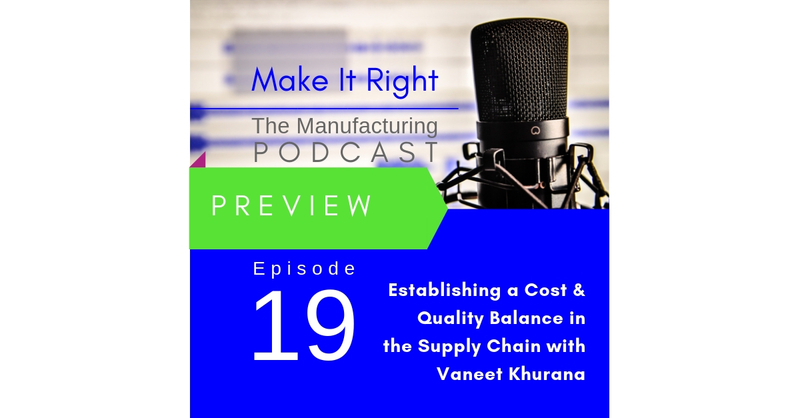 In Part One of our conversation he talks about the challenges of establishing a balance between cost and quality in the supply chain. Full show coming Friday!